Each year at the Global Youth Village, students come from different parts of the United States and from other countries across the world to experience all that Global Youth Village has to offer. This year, the village includes an Egyptian cohort of 16 participants. They worked arduously to prepare a night that was unforgettable, sharing their culture and tradition with new friends. For Egyptian Focus Night, these Egyptian participants shared their culture through traditional songs, dance, history, videos, and games. First, the audience was captivated by several videos about Egypt’s breathtaking landscapes. The audience was taken underwater to Dahab, into the hustle and bustle of Cairo, through the beautiful coral reefs of the Red Sea, and to the astonishing pyramids in Giza. The group then shared a glimpse into their history, highlighting famous Egyptians who have made a difference in the world such as 3rd Egyptian president Anwar Sadat, Nobel Prize winner Ahmed Zewail, and esteemed surgeon Sir Magdi Yacoub. Participants shared more about religion, festivals, and the Egyptian calendar, explaining the Friday feast, Ramadan, and Eid al-Adha. A large portion of the night was highly interactive. The onlookers learned three popular games played in Egypt. After running around and striking some poses, the night ended with a giant dance party. By the end of the night, all the participants were on the stage dancing to popular Egyptian songs. 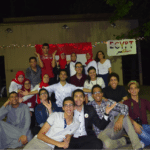 Since the GYV participants could not visit Egypt, Egypt was brought to them. The Egyptian students ensured that their peers would experience Egyptian culture—and have an amazing time while doing so! 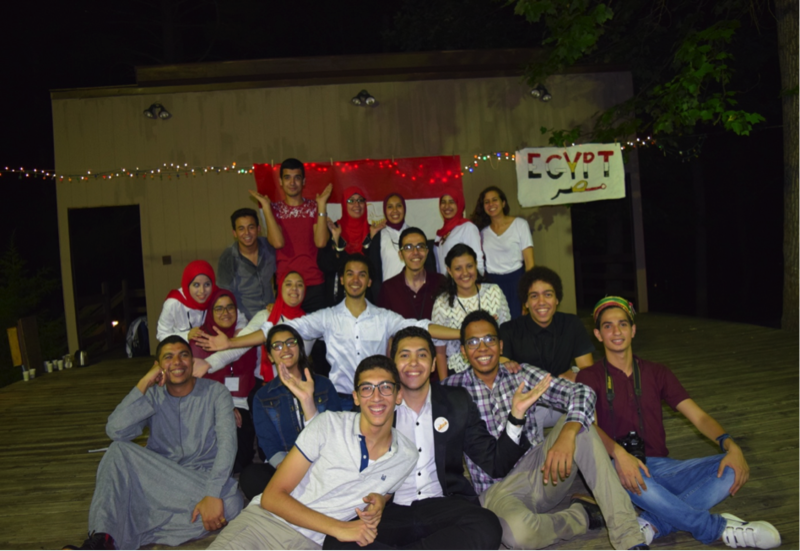 As GYV comes to a close, the Egyptian cohort will travel to Washington, D.C. to explore American history, culture, and get a further taste of the United States before heading back home to Egypt. The community at Global Youth Village is enriched by the many cultures and backgrounds of the participants. By sharing their cultures with one another, the young leaders gain further understanding and become globally minded citizens.